With Playtech being forced to drop its much-loved Marvel slot series in 2017, it needed a superhero response to avoid mutiny among casino gamers. 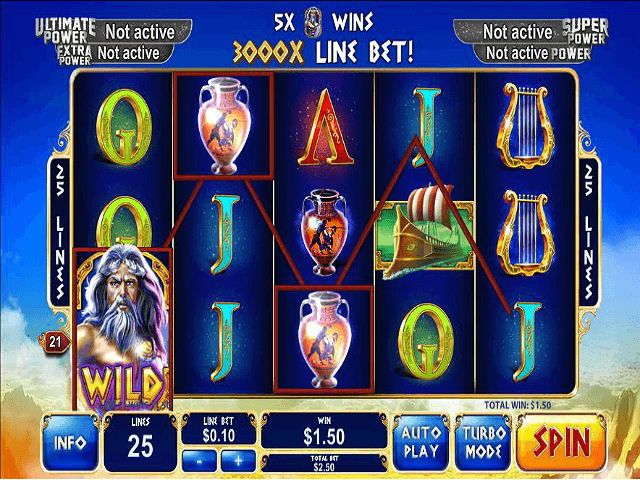 Fortunately, the brand had already been secretly preparing – with the development of the Age of the Gods slot series, including King of Olympus, Furious 4, Prince of Olympus and Goddess of Wisdom. Age of the Gods: King of Olympus is fast becoming a favourite among gamers who love rich graphics and simplicity. Marvel lovers might just be feeling sheepish for doubting that the slot series could be beaten in entertainment and quality. Play Age of the Gods: King of Olympus Slot Demo for Free! Play Age of the Gods: King of Olympus for Real Money! Deposit €10, Get a €50 Bonus! Coral Online Casino, a strong arm of the Ladbrokes Coral Group, only launched in 2012 but the Coral brand joined the world of gambling back in the 1920's. Their experience alone will probably earn Coral Casino a look from most players but the extensive selection of quality slot titles on offer will keep them coming back for more! 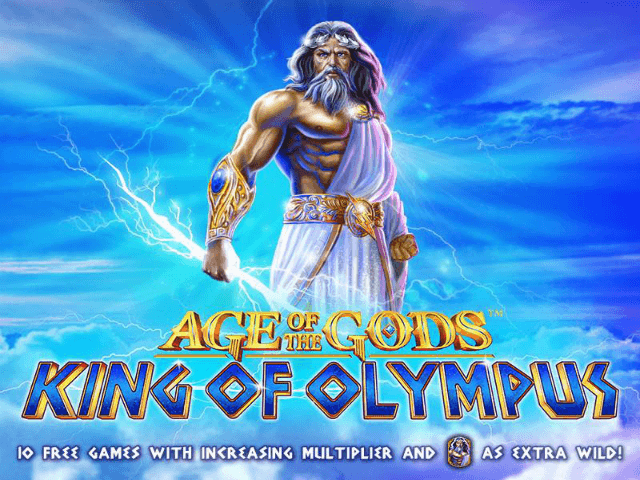 The Age of the Gods: King of Olympus slot comes to online casinos from one of the world's best software houses: Playtech. This epically titled game is based on the mightiest of the Greek gods, Zeus – the king of Mount Olympus. 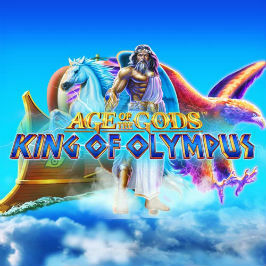 The game delivers players into a slotscape of azure blue skies and the beauty of Mount Olympus at dusk, with richly rendered iconography that features Zeus, the winged horse Pegasus, precious vases, golden lyres, the eagle Aetos Dios, ships of war and letters of the Greek alphabet. With five reels and 25 paylines, gamers can win standard jackpots up to 300,000 – plus the chance to land a life-changing Playtech progressive! Zeus unsurprisingly features heavily in every aspect of King of Olympus – not only is his basic symbol wild, his scatter temple icon also multiplies payouts and launches the exciting free spin bonus game. With beautiful graphics, godly sounds and a return-to-player ratio of over 94%, this simple, fast-paced game is pure class and fits nicely into the Age of Gods series. 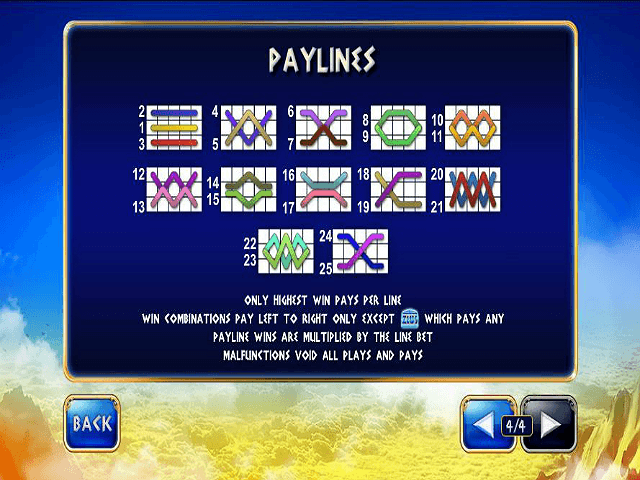 King of Olympus video slot is easy to launch; players simply need to choose a coin value and line number, then click to play. Bets can be made from 0.25 to a max of 2500 depending on the casino. The video slot has a maximum jackpot of 3000x coins plus a progressive jackpot feature. With Playtech's turbo mode available, King of Olympus can also be played at thunderbolt speed. *The game’s other icons are lower in value, ranging from five coins for 3x J icons, to 200x for three lyres. *Gamers can gain extra rewards from the wild Zeus being cast in immovable stone in the middle of reel three during the bonus game. Age of the Gods King of Olympus is linked to Playtech's huge progressive jackpot pools, which can be triggered on any winning or losing spin. The higher the stake, the more chance there is of scooping a massive reward. The progressive jackpot game is interactive, with a clickable gold coin grid deciding which jackpot is won (power, extra power, super power or ultimate power). This offering from the Playtech gods looks stunning and is sure to appeal to players. While greater complexity can be found in other games in the Age of the Gods series, this game boasts simple gameplay, frequent winning combos and potentially huge wins. Share this Age of the Gods: King of Olympus Review today! 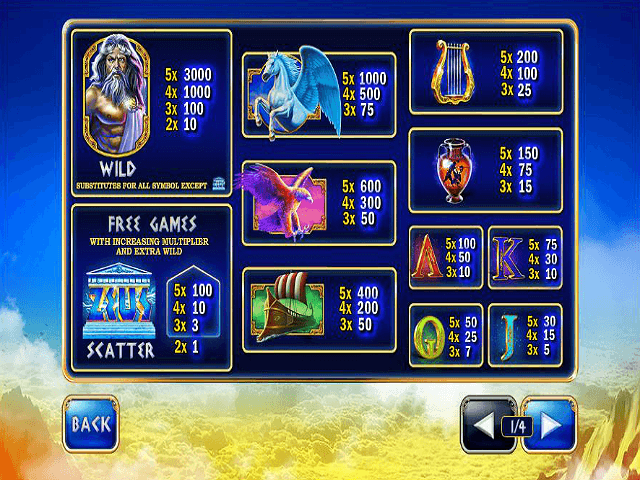 If you like Age of the Gods: King of Olympus, you'll love these slot titles too!